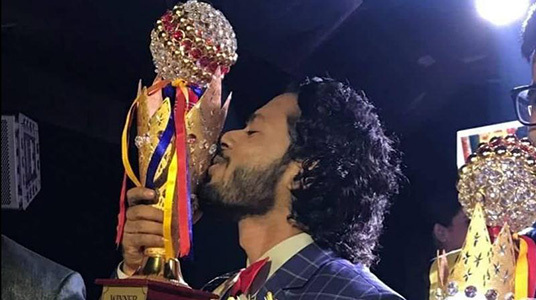 Meet Samarpan Maiti—model, actor, scientist, activist, and runner-up in the Mr Gay World 2018 competition held in May in South Africa. While many of us question why we even need a Mr Gay World in 2018—which raises all sorts of issues around commodifying looks, body shaming, etc.—Samarpan is using the platform to increase visibility for rural LGBTQ folks and other sexual minorities living in India. Samarpan is continuing his scientific work in cancer research while also looking at acting opportunities despite the challenges faced by out, loud, and proud actors in India. Congrats—Samarpan. Keep sharing and shining!